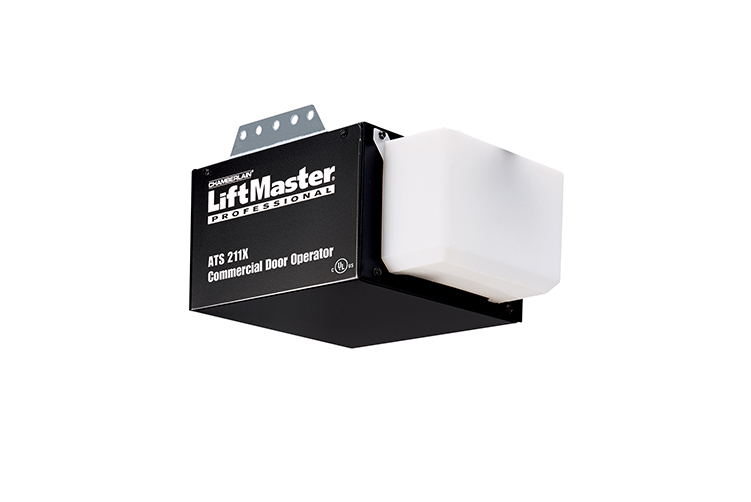 The Model ATS (Advanced Trolley System) Door Operator is designed for use on residential or light-duty commercial door applications with standard lift. For doors up to 14' high. Maximum recommended duty cycle: 8 cycles per hour. Control the Open/Stop/Close sequencing needs for your door operation with a single button control (SBC). Compliant with all UL 325 requirements. Accept up to 20 remote controls and unlimited DIP switch remote control with our Security+® radio technology. Provide easy, emergency manual operation using a readily accessible disconnect. The Protector System® Safety Sensors.